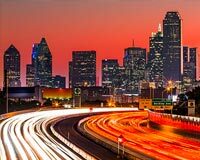 Also known as the Metroplex, the Dallas metropolitan area is home to more than 7 million people, making it the largest metropolis in the American South. The city has grown so large thanks to the many profitable industries operating in it, which range from automotive manufacturing facilities to aerospace and defense firms to advanced tech companies. These industries provide a steady supply of jobs and wealth, helping the Metroplex keep growing each year. ExpeditedFreight.com bolsters this growth through efficient, effective supply lines, bringing the city’s businesses everything they need to keep producing at full capacity. As with any city this large and dynamic, Dallas has experienced its fair share of growing pains. With so many businesses setting up shop or expanding their operations each year, there is increasing demand for supplies of all kinds, straining the region’s carriers and infrastructure. 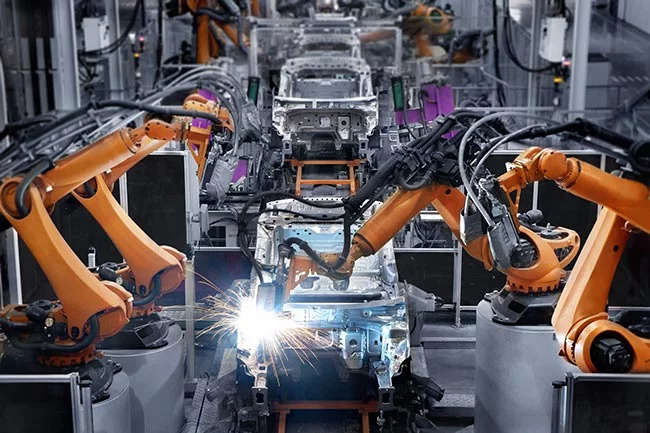 Take the Metroplex’s thriving automotive industry: General Motors recently announced it would be building a supplier park near its SUV plant in Arlington. 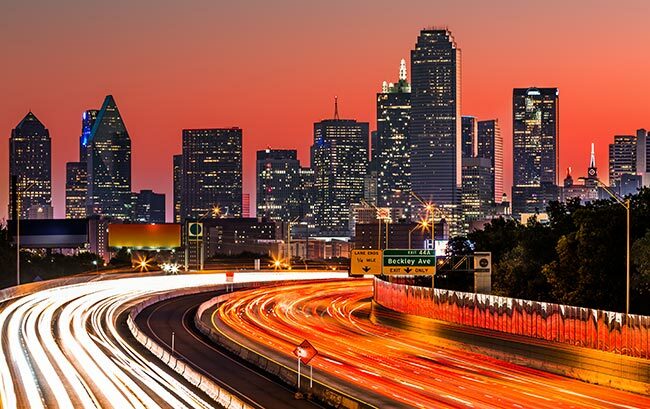 Such a step should simplify shipping in Dallas in the long haul, but in the short run, it will require local construction companies and other firms to truck in countless key supplies. Delivering all these items on time without damaging them will be an enormous challenge for express trucking companies. Expedited Freight is up to this challenge and others that come with shipping in Dallas. An expedited freight company with a commitment to speed and safety, we are happy to ship into or out of Dallas proper. We also serve other communities in or near the Metroplex, including Fort Worth, Arlington, Tyler, Waco, Garland, Plano, McKinney, and Grapevine. Dedicated Shipping - As part of our expedited delivery strategy, we match each order with a truck or van of equivalent size. That vehicle won’t carry anyone else’s orders, and because we match the sizes, you won’t need to pay for space that you don’t end up using. Dedicated trucking allows us to load any storage equipment you need to preserve your goods, and it speeds up the delivery process by letting us head straight for your destination. Team Driving - Instead of assigning just one driver to your vehicle, we use two on all but the shortest deliveries. This way, the drivers can stay on the road through the night, taking turns between resting and working. Neither driver will be too tired to operate safely, yet they won’t need to stop until the order is complete. Careful Planning - ExpeditedFreight.com charts each route from start to finish, keeping our vehicles clear of harsh weather, bumpy roads, traffic, and anything else that could derail the delivery. We then keep track of the vehicle during its journey, steering it around any obstacles that arise. If it breaks down, we can dispatch a replacement vehicle from any of our coverage locations across the US and Canada, keeping your order on schedule. Located at 2525 E. Abram Street in Arlington, Texas, Arlington Assembly has long been one of the most important industrial sites in the Dallas area. For more than six decades, this facility has built Chevrolet, Cadillac, GMC, and other General Motors vehicles for much of the American South. It currently focuses on producing the GMC Yukon and Yukon XL, as well as the Cadillac Escalade ESV. In assembling these vehicles, the plant has offered jobs and wealth both directly and indirectly to thousands of people across the Dallas Metroplex. ExpeditedFreight.com ensures that this plant has all of the supplies it needs to continue functioning at full efficiency. As a downline freight expert, we understand everything that can go wrong in such a large and essential manufacturing facility. Whether Arlington Assembly finds itself short on key parts, needs to make up for a failed shipment, or has to expand its operations in response to new demand, we are always there to bring in the requisite supplies. With our help, the plant can minimize disruptions and delays and maintain full productivity. Whether for emergency deliveries or more standard expedited shipping services, ExpeditedFreight.com delivers all supplies safely. We understand that even minor damage can compromise the performance and safety of the vehicles manufactured at Arlington Assembly. We protect the reputation of General Motors and the lives of its customers, making sure that none of the vehicles created at this facility use anything less than the best possible parts. To learn more about expedited freight in Dallas and beyond, contact ExpeditedFreight.com today at (972) 330-2000.